EZ FILL port makes the occasional adding of minerals quick and easy. These tanks have BOTH calcite and calcite plus. You would normally use two different tanks to use these two minerals. That is the proper way. But some people have no room for both tanks. Or they just want to do it this way. This tank measures 10"x54". Acid Neutralizer Tank for raising low pH in well water. 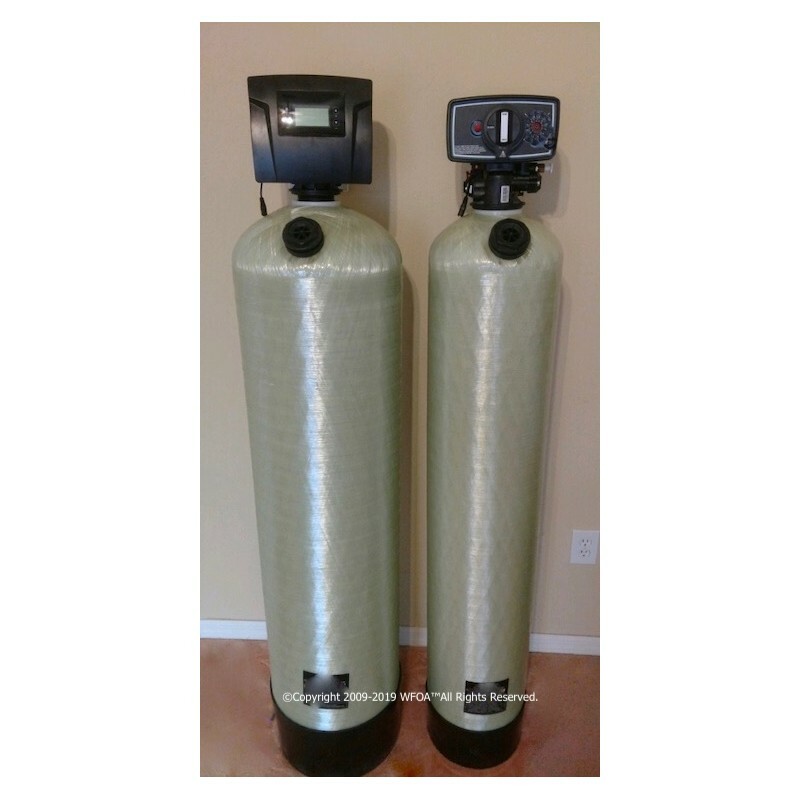 1.5 Cubic Foot Tank masures 10"x54". With the control valve on top, it stands about 60". These tanks have BOTH calcite and calcite plus. You would normally use two different tanks to use these two minerals. That is the proper way. But some people have no room for both tanks. Or they just want to do it this way. Some people want to make sure it works, and add a second tank later.